Standing on Knik Lake, I watched 13 young men and women ages 14 -17 venture out on the 150 mile Junior Iditarod. It was exciting seeing them leave the chute, go across the lake, and disappear into the wilderness. About 8 hours and 75 miles later, the first teams arrived at Yentna Station. 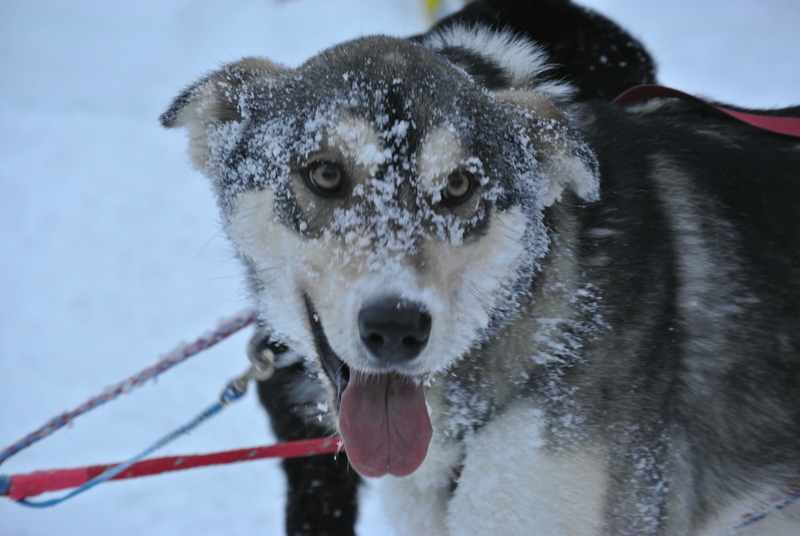 All mushers were very calm as they arrived with their 10 dogs and mandatory items. The dogs looked happy and healthy coming into the checkpoint. After checking in, the young mushers fed and bedded down dogs for their mandatory 10-hour layover. Later in the evening, they started the traditional bonfire. Dog teams are one way to get to Yentna Station, snow machines are another, but I arrived via airplane. Pilot Phil Morgan picked us up at Willow Airport and delivered us to the river right in front of the checkpoint. It was a magical evening waiting for teams to come in as a gentle snow began to fall. Yentna Station is an Iditarod piece of history in its own right. 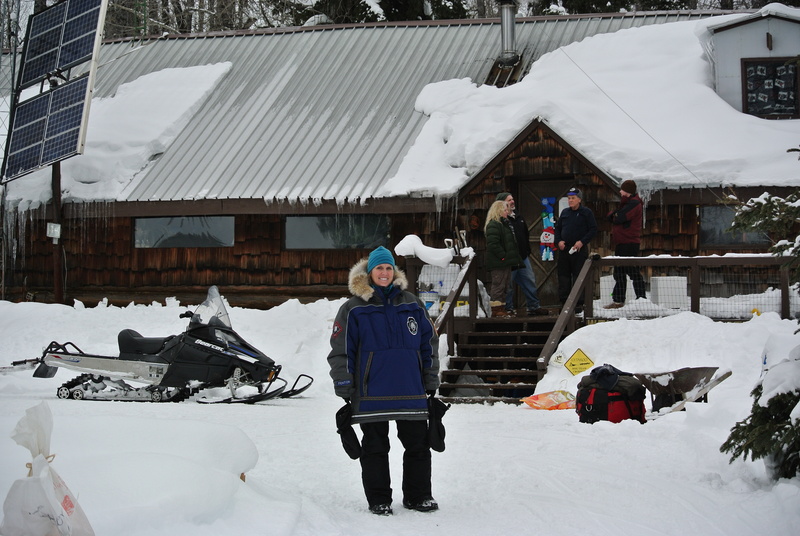 The cozy roadhouse, run by Dan and Jean, is a busy place this evening with not only Junior Iditarod volunteers and parents, but also people on snow machines stopping in for a delicious homemade meal. Iditarod pictures, articles, posters, and other paraphernalia can be found on every wall. I was able to get a little sleep before heading outside once again to see the mushers out. The first musher left at 3:43 a.m. with the second one leaving 2 minutes later. 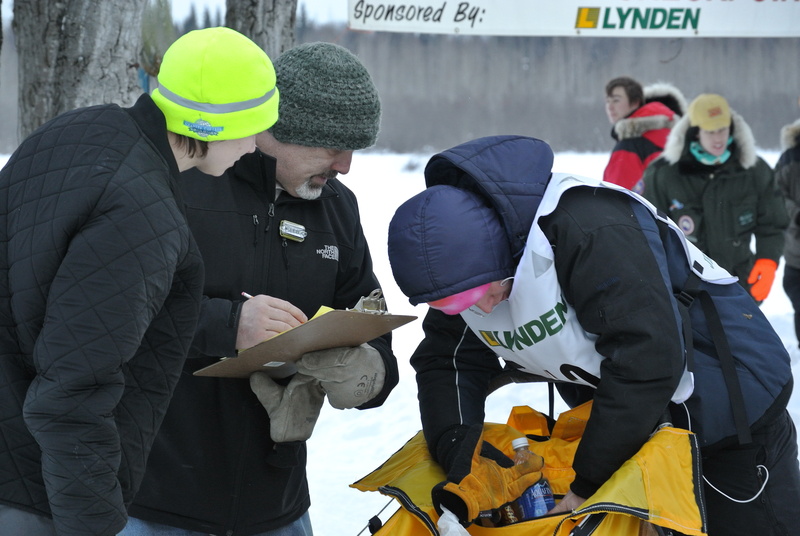 By 7:00 a.m. all mushers were back on the trail headed 75 miles back to Willow. 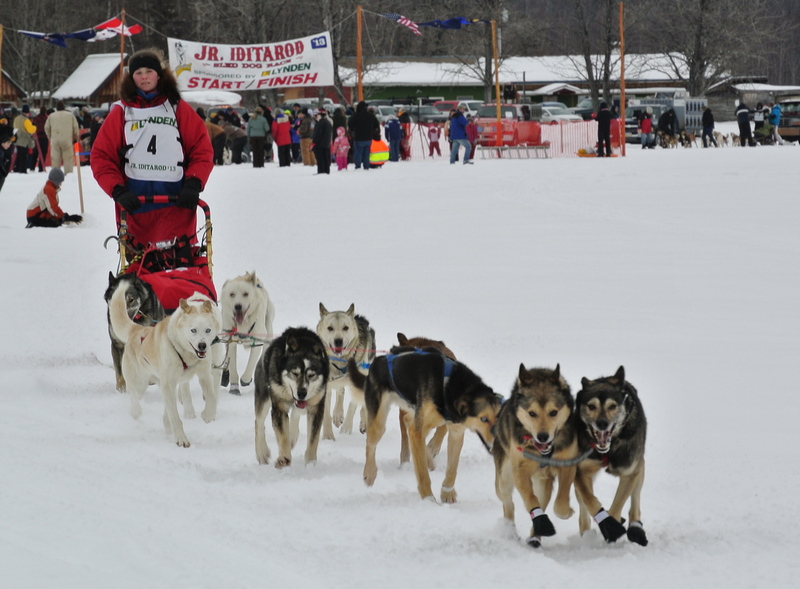 Good luck and safe travels to all Junior mushers today on the trail.